"Who dares to teach, must never cease to learn." ~John Cotton Dana Together We've Raised $400 From 11 Donors. Our primary goal across the New Mexico State University system is to increase student graduation, which demands stellar teaching. As we work toward this goal it is important that we support the Teaching Academy in our efforts to enhance the quality of teaching across our campuses. 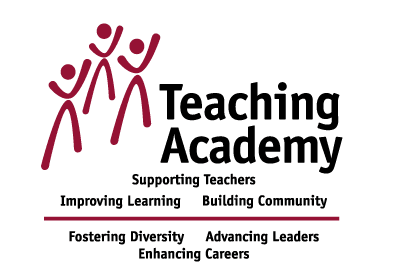 Our Teaching Academy impacts students by elevating the quality of instruction as we provide faculty with relevant and insightful workshops on student engagement, diversity and inclusion as well as effective teaching technologies. We offer our faculty and staff resources that help them thrive through collaborative learning and insightful peer interactions. With your investment in the Teaching Academy, you will be invited to the annual Teaching Academy Gala, Champagne & Chocolate, which honors members and donors. Please partner with us by making your charitable investment through payroll deduction online at: mypayrollgift.nmsu.edu. Simply log in with your my.nmsu.edu credentials and make your convenient and affordable contribution.